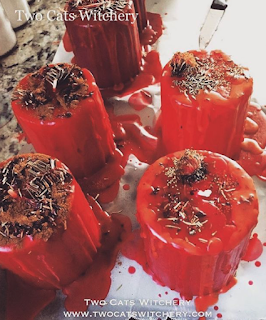 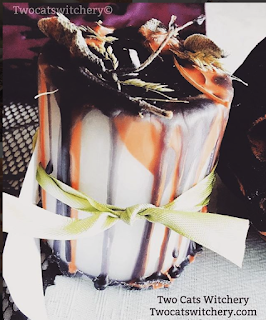 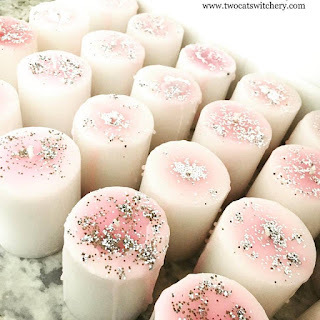 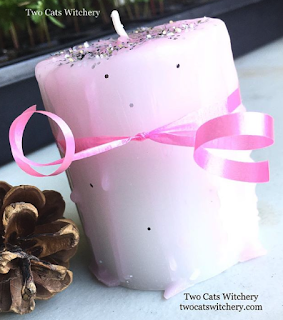 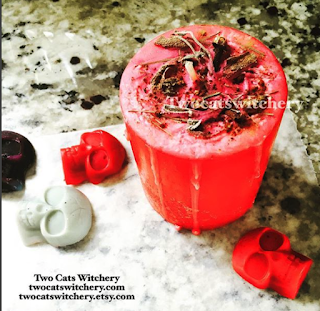 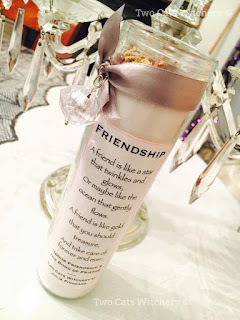 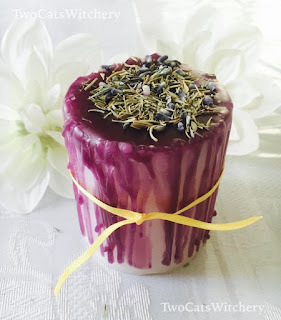 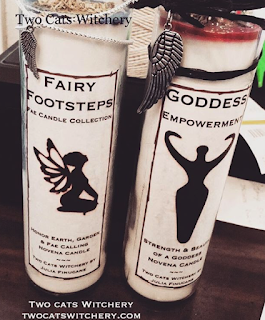 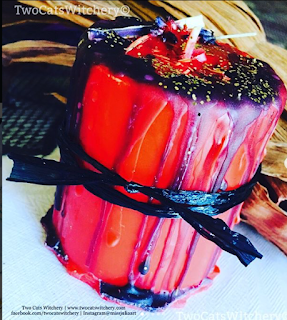 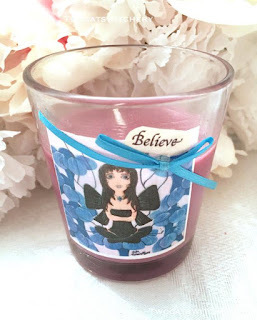 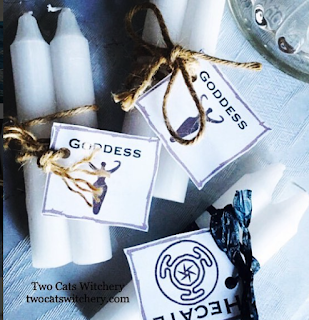 Here at Two Cats Witchery, we are proud of our Handcrafted Candles. 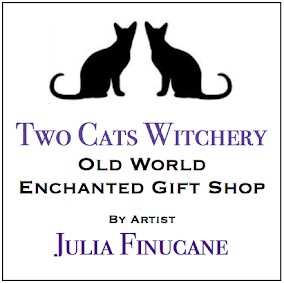 Each one is created and designed, OOAK and Unique. 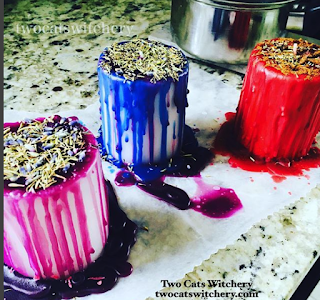 We make our candles in small batches to insure the quality of each. 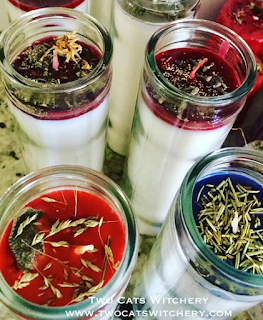 You will find a wide variety of candles including 7 day novena candles, pillar, votive, tea light, wax tarts, glass jar, and our special "wax drip" herb candles. 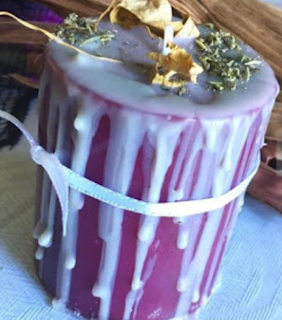 To purchase, visit our Etsy Shop.